Join me at Grand Opening of H&M Outlets at the Border! I'm still riding off of that high from participating in last week's amazing H&M Opening at Parkway Plaza (read my recap here), and I'm so excited to announce that H&M is opening another store in our lovely city! Join me this Thursday October 23, 2014 at the grand opening of H&M in the Outlets at the Border located in San Ysidro! The doors to the store open at 10am, but as I learned in my previous H&M opening experience, most of the fun happens beforehand! Prior to the doors opening there will be so many opportunities to win prizes while standing in line listening to the awesome tunes of the DJ! Just to give you a taste of what to expect, the first 100 people will get an H&M t-shirt and Access to Fashion Pass, valued from $10 to $300! Hope you can join me as H&M redefines the "waiting in line" experience plus as they open the doors to their new beautiful store in San Ysidro! 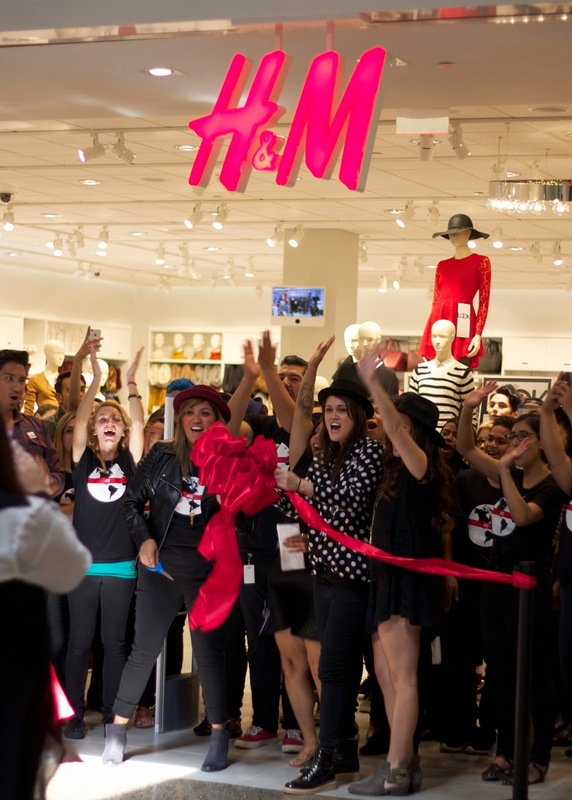 What: Grand Opening of H&M Outlets at the Border, San Ysidro! Amigos de San Diego, los invito a la gran apertura del nuevo H&M este Jueves en Outlets at the Border (direccion arriba). Habra la oportunidad de ganar muchos premios antes de que se abran las puertas a las 10 am! Las primeras 100 personas ganaran una camisa de H&M y mucho mas! Nos vemos ahi! I wish I could go, this is even further for me to drive. Hope it goes great! Aw, no worries Silvia! Thank you!